We are pleased to inform you that we will start this year’s home visit program during 2nd week of school year. Our goal is to finish home visits before the end of October this year. Very simple. Please send an e-mail to our home visit coordinator, Mrs. Unal at junal@fultonscienceacademy.org and give us three available dates for your child’s home visit program. We will get back to you and confirm a date. Depending on our teacher’s availability, at least two teachers will be together to visit our students and parents at their homes. 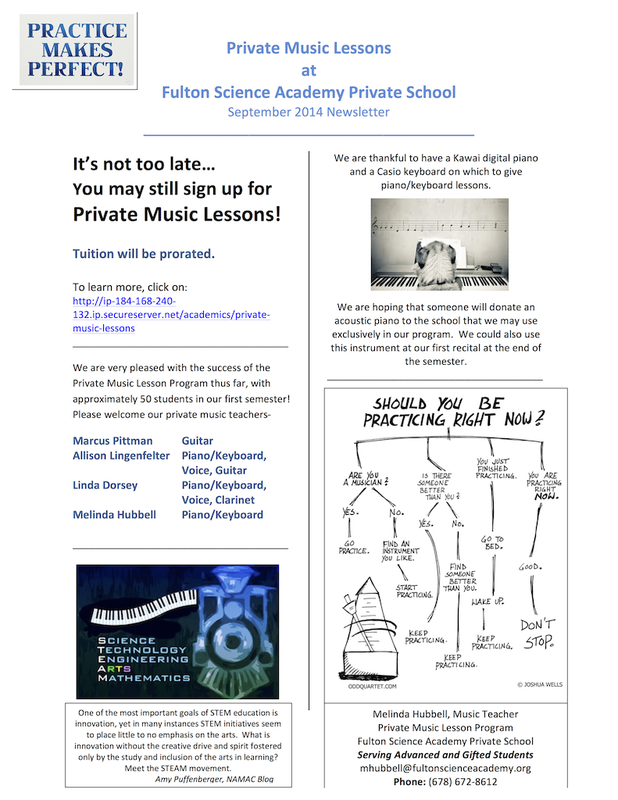 For any questions you have about this program, send an e-mail to junal@fultonscienceacademy.org. 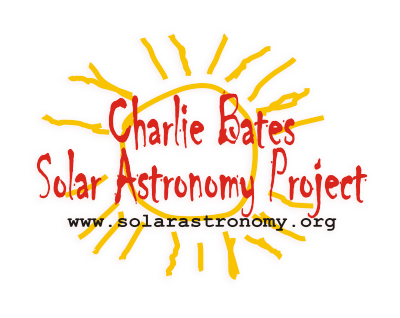 Stephen W. Ramsden, Director of the nonprofit The Charlie Bates Solar Astronomy Project will be bringing his nationally renowned solar astronomy outreach program to our campus on November 20th (weather permitting) for viewing and imaging of the Sun in all its life giving ferocity. 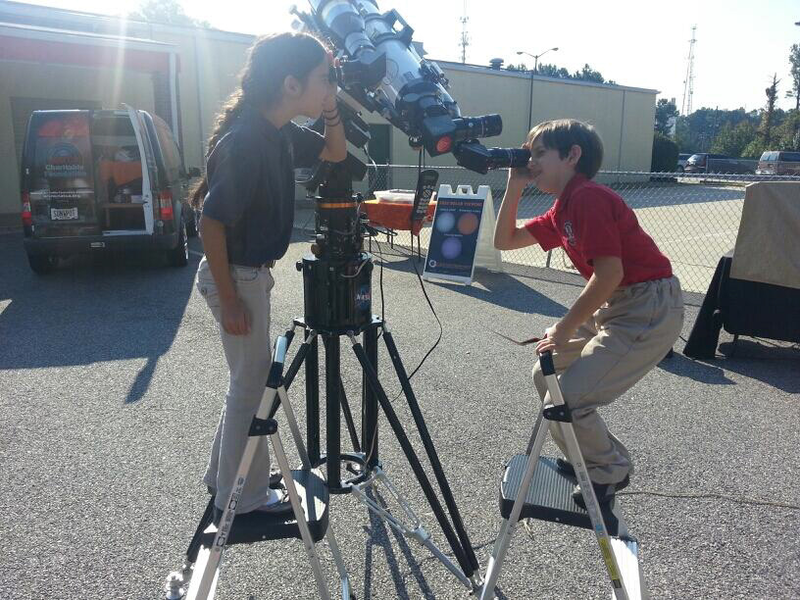 Students will be able to use his collection of the finest, observatory quality solar telescopes on Earth to witness firsthand many solar features including solar flares, sunspots, prominences, filaments and magnetically active regions. FSAPS SOCIAL STUDIES FAIR BEGINS! 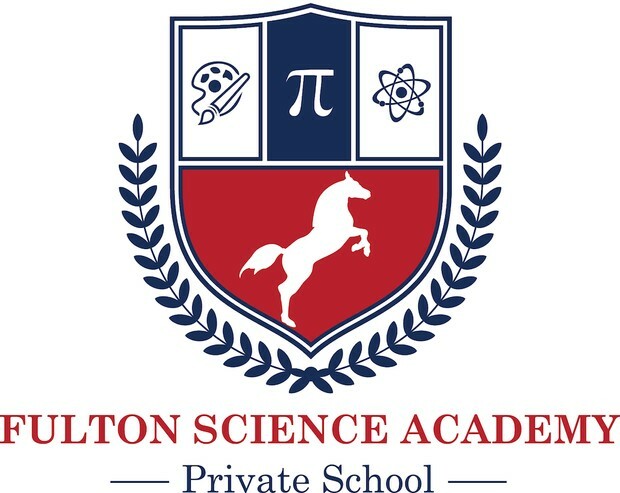 Fulton Science Academy has been very successful at all levels of the Social Studies Fair, with students taking first place in the state competition three times. Our goal is to once again send students with the best projects to compete at the local, regional, and, with hard work, state level. We hope to continue our run of success as we embark on a new year and explore new topics. All middle school students are required to participate and will receive information from their social studies teachers about the fair this week. Students should begin thinking about their topics in order to receive approval and having the contract signed. This year we are excited to be able to extend the project due date a bit so that it does not coincide quite as much as the Science Far. There will be checkpoints this semester, but the final paper and visuals will be due at the beginning of next semester rather than before the holiday break. It is our hope that this removes some of the burden and allows students to achieve their full potential on both projects. A complete social studies fair packet can be found under your child’s social studies class section on FSA Connect. Please email your child’s social studies teacher for more information about this or any other questions. IT”S TIME FOR SCIENCE FAIR! This year your child will be required to complete a major, independent science research project. The project will be completed at home for middle school students with specific criteria and deadlines provided by the science teacher. It is critical that your child receives help and guidance from you. The research paper, display and log book for the project are due on December 1st, 2013. Students will present their projects in their classrooms the week of December 1-5. The project will then be evaluated by the science teacher and the top projects from each science class will enter the Fulton Science Academy Science Fair held on December 9. Students received a Science Fair Packet including rubrics, checklists, expectations, and deadlines to assist with project completion. This packet is also on FSA Connect. The first step in the process, which many find difficult, is choosing a topic. Please help your child with this first requirement by directing them to think about what interests them. PreK -K: Students will just complete a poster board in school with the help of their teachers. 1st-5th grade: Students will complete a display display board/poster partially at home and partially in school. Your teacher will give you more details about the Science fair. TAG Education Collaborative is excited to announce the 2014 Health IT Student Innovation Award Competition is open to all Georgia Middle School Students! Mobile app technology is increasingly influencing our lives to connect us with more real-time, relevant information than ever before. Through a special partnership between the Technology Association of Georgia Education Collaborative Inc. (TAG-Ed), the Georgia Department of Education, Verizon Wireless, and the Georgia Department of Public Health (DPH), we offer a contest that strategically utilizes technology to combat a major health issue in Georgia. For the first time this innovative technology design competition is open to all Georgia students! Eligibility: This is a team event for middle and high school students. Teams must consist of 2-4 students. Students must have a school or program approved adult advisor to enter the competition. Purpose: To encourage Georgia high school and middle school students to work asa team to design an innovative mobile application or mobile optimized website thatpromotes a specific theme related to encourage lifelong wellness. The 2014 theme for the Health IT Student Innovation Award is Youth Tobacco Use Prevention and Cessation. Project description: Students should evaluate the current trends in the use of mobileapplications and study how these trends will impact our healthcare delivery system. Healthrelated areas to be addressed in the application may include tobacco usage trends, risks, prevention, and cessation programs. Finalist teams will present their application at the Health ITLeadership Summit onNovember 20, 2014 at the Renaissance Atlanta Waverly Hotel. Cash prizes will be awarded to the schools of the finalist teams. Agrand prize winner will receive an additional cash award for their school. 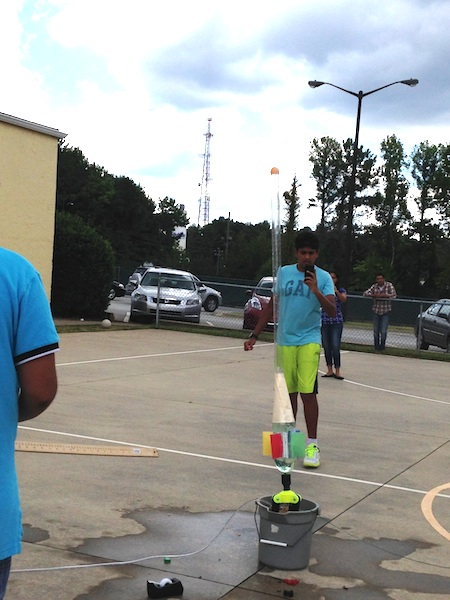 Students in Science Olympiad Building Events built their first bottle rocket and launched it. In bottle rocket category , participants design, construct and launch up to two rockets made from two empty plastic carbonated drink bottles, which hold 2 liter or less, to remain aloft for the maximum period of time possible. In the competition, the team may shoot two rockets off, each one only once. If a team only has one rocket, it must still only be shot off only once. The team may add any amount of water to the bottle. It is then set on the launcher and shot off at 60 psi. The time is recorded for each rocket to the nearest hundredth, and the two times are added up to create the team’s final score.